Those who are searching for a supportive file transferring application can go through our narration here. We are going to unwrap an amazing utility in the market that even compatible with any Android, iOS, Windows, Mac and Blackberry as well. 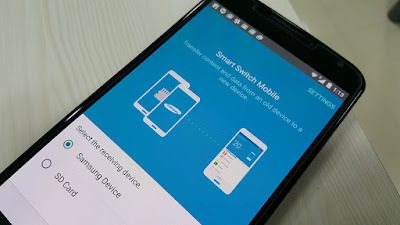 We call it Samsung smart switch apk and that based on varies transactions between a Samsung galaxy and whatever recommended Smartphone or a Tablet. Unlike common implements, it let us share whichever file type in whatever size devoid of any puzzle. However, here is our brief guide about its acceptance and accomplishments. How Samsung smart switch apk works? 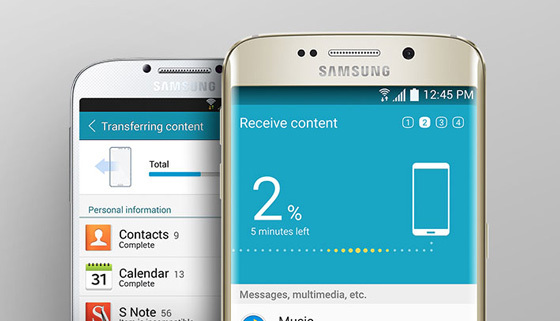 Share any file or a media content using Samsung smart switch would be exciting. It is not for root-only or non-root devices. And even the application is not a paid one at all. Users can transfer whatever music files, videos, photographs, text messages, notes, contacts, calendar events and so on related ones. The best thing is that the utility does not have any certain file type or a file size limitation either. Therefore, you can pick up any file format in whatever size and transfer it in minutes. Wireless file sharing method is the first option that we can let you enter when you are with two mobile phones. And the next is direct transaction using USB cables that should proper enough to link the two handsets. And then when you come to PC or Mac establishment, it is all about the desktop based tool establishment that you have to download and settle. Moreover, you have to make sure that whatever side of the transaction hold a Samsung galaxy device that Smart switch can work. Android devices that needed to play with the utility must confirm that they are above Android 4.0 for wireless and Android 4.3 or higher when it is about USB cable connection. Wireless or wired users with Blackberry should make sure that they are with Blackberry OS 7 or 10. And when it is about iPhone transactions, wired ones have to be with iOS 5.0 or advanced. If it is an iCloud connection, iOS 4.2.1 or above is required. When it comes to iTunes, there should be Smart switch application on the Mac. If the app is not updated, there might be some errors. And also, USB cable improperness as well might force your connection. If there are some security applications, they too might stand as a barrier without let you share your stuff as it should be. Moreover, when you are with Windows or Mac, make sure that you update the tool package and the device that going to connect with is a Samsung.